Thomas Dymond is currently a first-year medical student at Queen’s University in Kingston, Ont. He is interested in becoming an emergency room physician, although it is still early in his medical training to decide on a specialty. He enjoys adventure and exploration, which is evident from his four summers with the Canadian Coast Guard in Search and Rescue as well as his love for the outdoors. He only recently moved to Kingston after spending seven years in St. John’s, Nfld., completing both his undergraduate and master’s degrees in kinesiology. Originally from Nova Scotia, he is Mi’kmaq and spent a great deal of his time throughout university advocating for Aboriginal students. 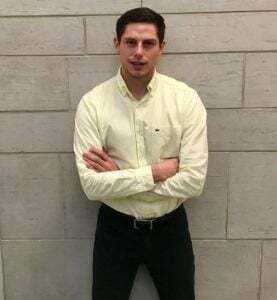 Thomas is currently involved at Queen’s with the Indigenous Health Interest Group and sits as the Local Officer of Indigenous Health (junior). Thomas is thrilled to be joining Canada C3 for Leg 6!